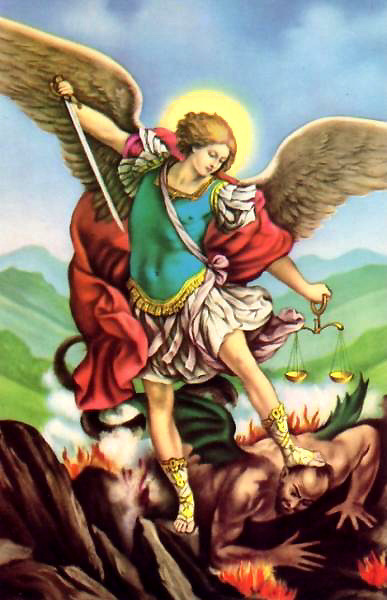 I’ve been channeling Archangel Saint Michael since October, 1997. I never set out to do this on purpose. I began hearing his voice one day while I was taking a shower. Yes, Michael likes to hang out in bathrooms, evidently. He speaks to me the most when I’m in the bathroom. Years later I read in some book that running water conducts energy and can make it much easier for you to hear your angels and spirit guides. So the next time you need some guidance you may want to try lighting a candle next to a sink, running the water, then open yourself up to receive impressions. I’ve written about Michael before and will no doubt write about him countless more times before I hang my hat and retire. Michael has been there for me at the worst of times & also at the best of times. He has ALWAYS been there when I’ve needed help, even in my dreams when I’ve had nightmares. He has NEVER EVER let me down, and as far as I know, he also has never disappointed any of my clients to whom I have recommended him. Archangel Saint Michael, although considered by many to be “Catholic,” is one of the few angels named in the Koran as well, so he is important to Muslims. Michael first appears in the Old Testament of the Bible in the Book of Daniel (therefore he is also mentioned in the Torah) and is there by name being referred to as “one of the chief princes,” the implication being prince of the heavenly host, which is one of Michael’s official titles. Some scholars note that Michael is the only of the archangels to be called an archangel in the Bible. He is also referred to as Prince of the Heavenly Host, an exalted position he may have gained after defeating the rebellious Lucifer and his followers. 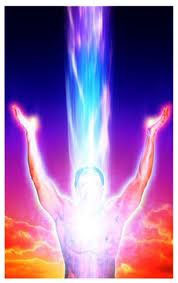 The implication has always been that Michael, even if he is just an archangel, may actually be of a higher order of the angelic hierarchy or have been granted special powers by God in gratitude for his great victory over Lucifer and the re-establishment of order and harmony in heaven after Lucifer’s rebellion. Michael’s name translates as, “He who is like God.” Again, the implication being that Michael has special powers that other archangels may not themselves possess. Michael has delivered various messages to me over the years. The majority of them have been meant for me personally so I have never shared them with anyone. He comes today bearing a message for all, so I share that message below. Please know that no matter your religion, spiritual beliefs or practices, Michael wishes for you to know he is your friend upon whom you can count in times of trouble. He has often told me to tell my clients he will work with anyone. You don’t have to be Catholic, Christian, Jewish, or Muslim to gain his attention and his help. He insists he is here to help any who are in trouble and may be dealing with negative forces. “My dearest children, I am Micha-el, He Who is Like God. I address you in my role of Prince of the Heavenly Host. All angels are under my command, regardless of their rank, for I used the army of heaven to defeat the dark one. I wish for you to know that I freely extend the hand of friendship to each and every one of you regardless of your beliefs, your background, and what you may consider to be your sins in this lifetime. I judge no one for I am no judge. I am here merely as a servant to help you in all of your needs. I am there for you as a sun shining in the dark. I am there as a light illuminating the darkest cave. I am there as a mirror reflecting goodness and light. I am there as a shield to protect you from all evil. I am there as your friend & champion in times of trouble. I am always with those who call upon me & state they wish for me to remain with them at all times. I am Micha-el, He Who is Like God. I extend love and friendship to everyone who calls My Name. Rest assured, if you ask it of me, I shall remain with you always, unto and beyond the end of Time itself. If you wish to call upon Archangel Saint Michael for help in any type of situation (he’s not only good at protecting us from evil, did you know he’s a genius at fixing mechanical things?? It’s true! ), below is a link that takes you to a site that offers up the original long version of the prayer to Michael, as well as the shorter, more well-known prayer. Use the longer prayer for bigger problems. It’s actually part of the official Exorcism Rite of the Catholic Church. The shorter prayer can be said daily as a Novena (repeated 9 times without stopping). A good practice is to say a novena to Michael first thing in the morning and last thing at night. Red: protection from evil & from enemies. White: protection and guidance of children. He has a “saint” or “novena” candle that comes encased in glass. It’s about 10″ tall and I have seen it in red and white wax. I’ve never seen a blue Saint Michael candle, but that doesn’t mean they don’t exist. You can google to see if you can find it in blue. If not, then you can just substitute a blue candle, if you like. The best day of the week to call on Michael for protection is Friday. He has often told me this. From a magical perspective I would think he would choose Saturday, as that day is ruled by Saturn and is often used in magic for banishing and protection magic. But he insists Friday is his best day. If you wish to give your home a spiritual cleansing in his name, Michael also says Friday is the day of the week to do it, and preferably during a waning moon, although he says he will go to battle at any time for us. Personally, I do hope that everyone who reads this blog post takes advantage of Michael’s offer. Even if you feel you do not need his help with anything, just ask him to be with you. Then when those dark times come you will know you have a very powerful champion in your corner who will immediately come to your aid and defense. NOTE: Michael’s Feast Day is coming up. It’s on September 29th. I am forever grateful to Archangel Saint Michael for all the help he has given me, my clients, and my family. He is always there and has never failed me. He will be there for you as well. All you have to do is ask him. Here is that link I told you about. Next Book & Deck Review: The Alchemy of Tarot book and The Kingdom Within Tarot deck.